← Top 7 Blog Posts I Have Read…not that I have read that many. It’s nearly here. The holiday that I never gave a second thought to until I saw a movie that is one of the very few Bill Murray films I can stomach. 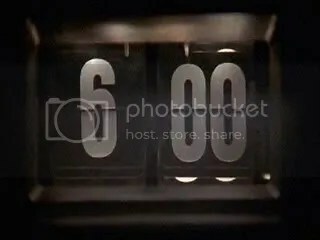 Still, when the day rolls around the only thing I think of is that movie. I saw it at least 6 times in the now gone Spring Brook Dollar Theater in Blaine, MN. I was supposed to be wandering Northtown Mall at the time, but instead myself and my friends would run from the mall across the street to the theater and catch whatever was on the screen that week. If you have ever seen Northtown Mall you would understand why it is worth skipping. Seriously, the whole concept of Groundhog Day as an event is about as useful as “Take Your Daughter to Work Day” except that no one gets to skip school. The mammal may or may not see his shadow. And then there is or is not more winter. Is this concept only good depending on the location of the groundhog during the shadow experiment? I have always wondered. And if there are not going to be six more weeks of winter, then how many will there be? Here, in the frigid North, I can promise you that the current negative temperatures every day for the past forever point to the possibility that it could still be winter in May. Each endless morning that Bill Murray’s character wakes up, he is greeted with the clicking over of the numbers and the song, “I’ve Got You Babe.” It’s an OK song, not the worlds greatest, unless you are judging on cheese factor. But that clock always intrigued me. So much so that I went out and bought myself a retro flip clock of my very own in hopes that someday I will be able to have my local radio station play that very same song at least one day in my life as I am waking up. Somehow that cake that he shoves into his gullet while showing that he can eat anything and never get fat is something I have always wanted to try for myself. It looks really good. Cake is always really good, unless it’s the vegan variety…which is pointless. I love this part and I couldn’t find a clip or a picture of it. But it happens when he takes a date to an old western movie ( I believe it’s The Good The Bad and the Ugly) and convinces her to dress the part. A few years ago or more, as the you tube craze exploded, so did taking films, usually comedy and making new trailers of them that were nothing at all that had to do with the story line. I like them, and I like this one. I wish I could give proper credit for the person who made this, but I cannot find a site. Sorry to whoever you are. Phil: do you ever have déjà vu Mrs. Lancaster? Mrs Lancaster: I don’t think so, but I can check with the kitchen. Quite possibly my favorite character in a movie ever. I am not totally sure why this is. But when Ned is on the screen a smile is on your face. He’s the annoying happy guy that will never understand that he is so deliciously annoying. And he says “bing!” with such authority that I want to say “bing!” myself. We should start saying it together. That’ll be a blast. This entry was posted in Blogroll, funner, happiness, Holidays, Life, movies and tagged Bill Murray, Groundhog Day, movies. Bookmark the permalink. 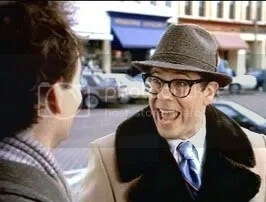 I am a huge fan of Ned Ryerson!!!! And I dont think winter is ever going to end, regardless of what that rat does tomorrow. If not in WI, then certainly not in MN. Sorry chica. Yes, I figured. Being we are state neighbors I will go wave at you. …and I will miss your wave due to the whiteout conditions that may or may not erupt at any given moment. I love that part. Actually I know two Neds and I say that every time I see them. Never explained why i do that so they probably think I am a little off. That is definitely in my top ten, and my personal favorite Bill Murray flick (with “What About Bob” coming in a very close second). wtg!